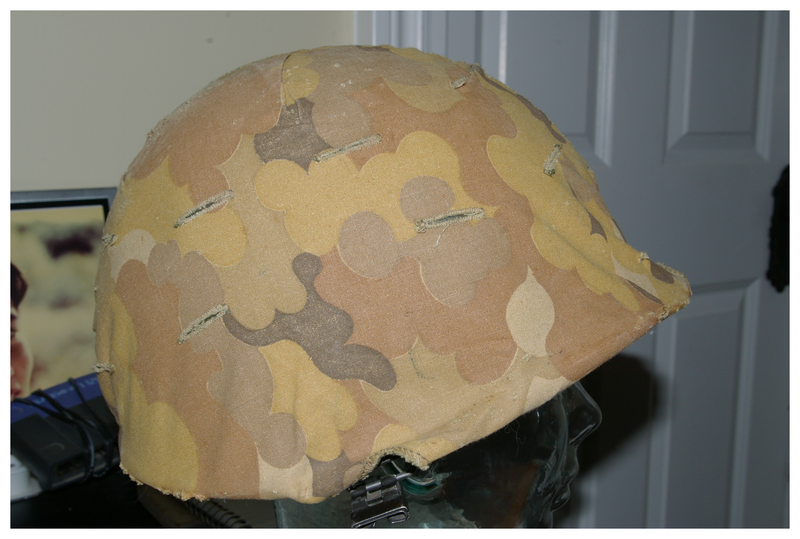 This is an M1 helmet from the second production run in 1966. 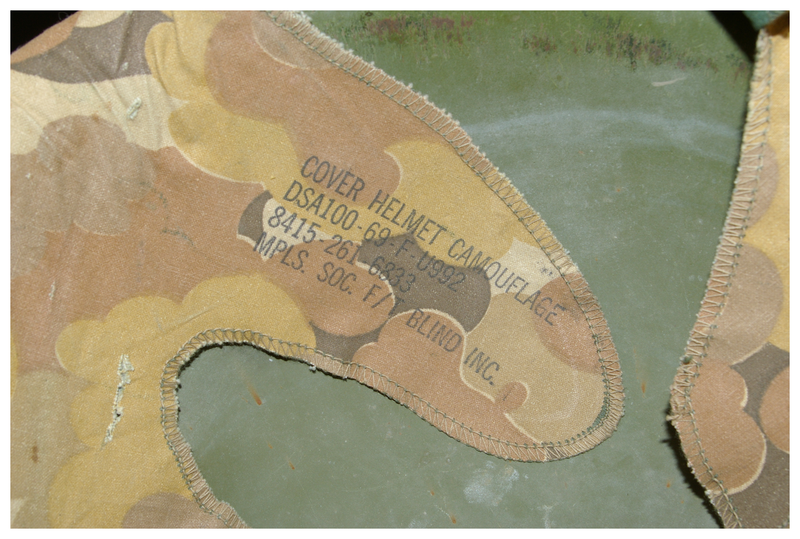 The camouflage helmet cover is dated 1969. 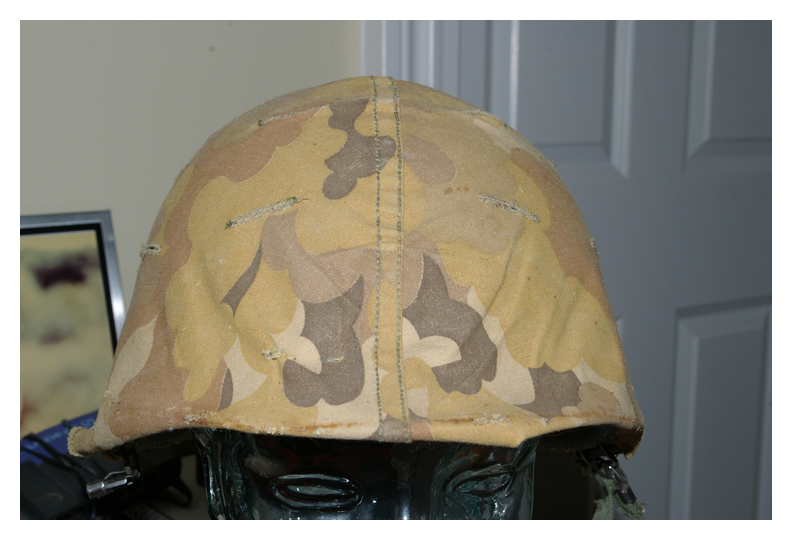 If you sniff inside the helmet you can smell hemp. It doesn’t get more authentic than that. 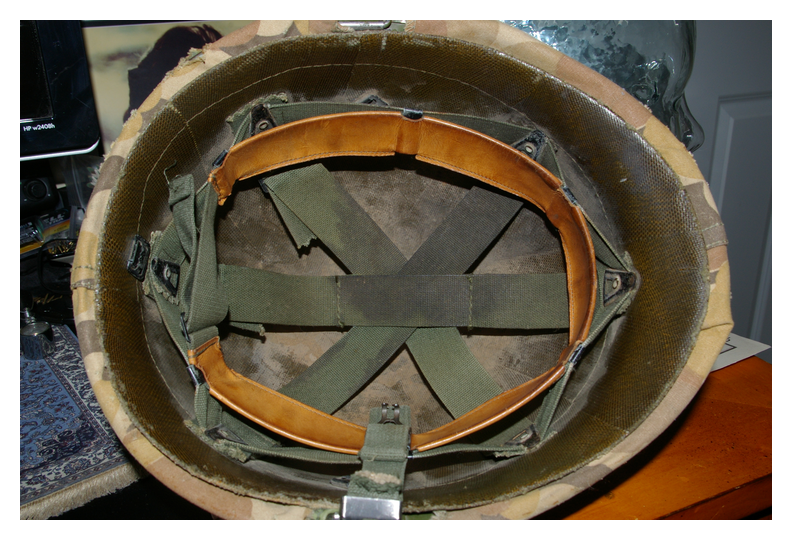 This entry was posted on April 21, 2013 at 12:30 AM and is filed under Headwear with tags Helmets, South Vietnam, United States, Vietnam, Vietnam War. You can follow any responses to this entry through the RSS 2.0 feed. You can leave a response, or trackback from your own site.